When a new book is launched into the world, the attention it receives—being seen, being talked about—may seem par for the course to many. But is such exposure entirely natural, without planning and effort? 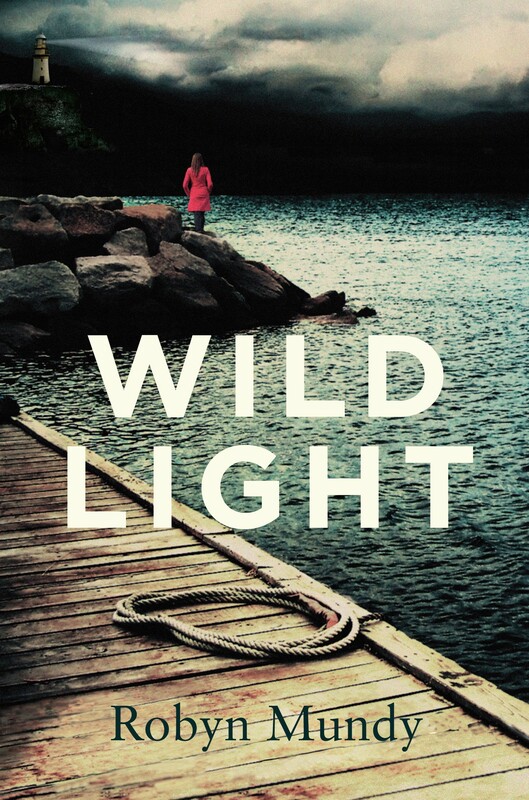 When my new novel Wildlight was wending its way to the printer, I was introduced to Pan Macmillan’s publicist, powerhouse LARA WALLACE. Whew! It didn’t take me long to appreciate the energy, enthusiasm and professionalism Lara commits to her role, and to see how an effective publicist makes a significant impact on a book being noticed. Lara kindly agreed to shed some light on her highly proactive but largely behind-the-scenes role. Firstly, will you share a little about yourself, at work and beyond? Lara Wallace poses with Puddles the Clown during the 2016 Adelaide for Writers Week. LW: I have worked as a book publicist for the past eight years and within the Australian publishing industry I have been employed by HarperCollins, Allen & Unwin and Pan Macmillan. I did a one year stint overseas in 2010 where I worked for an independent publishing company based in London called Kogan Page. Outside of work I enjoy travelling, seeing live music and art exhibitions, binge-watching TV series (House of Cards and Nashville are my favourites at the moment) and it must be said, reading. Let’s get to the nitty gritty. How do you get a book ‘out there’ in the public eye? — Review copies are sent out to journalists, bloggers and other influencers who we feel the book is likely to be of interest to. They are also sent to journalists and bloggers who request the book, provided the request is legitimate, and to media contacts the authors has provided. — Publicists then follow up with media contacts who have received review copies and source interest in interviews, extracts, reviews, cover placements and giveaways. — Once media coverage starts to be confirmed, the author is provided with an outline of the media due to take place for the book, and receives regular updates on media coverage and any interview requests. How important is publicity to a new book? LW: Of course being a publicist, I would argue that it’s incredibly important. But in all seriousness, if you consider the books that have been successful over the past decade, they have almost always been supported by strategically planned, carefully executed media campaigns. For a book to sell well, it needs the strong backing of the sales, marketing and publicity teams. For this reason sales, marketing and publicity departments tend to work very closely together within publishing houses. When I think about the cover of Wildlight, I love its gothic undertones, and how the design stands out on the book shelves. From your point of view, can a cover make a difference? LW: Yes, it’s without question that a book’s cover makes a huge difference. A book with a striking or beautiful cover is almost always commented on and the more it’s talked about, the more attention it receives. That being said, a brilliant book with what might be considered as a rather plain cover can still do well, but having a cover that is of wide appeal to book buyers is certainly beneficial. Pan Macmillan is an international publishing house with several imprints producing an impressive range of material. How many titles do you manage at any one time? LW: A publicist’s workload tends to vary over the course of a year, but on an average month most publicists work on between three and four titles. If there is a particularly large media campaign taking place in a certain month, it may be that the publicist only works on one book that month. By the same turn, if the media campaign for a book is less extensive (perhaps because the author isn’t available for media or the book is aimed at a more specific audience), the publicist may work on three or four titles. Personally I like to keep busy and work across a variety of titles, and most publicists I know feel much the same. In your role you would have encountered the full gamut of book reviews. How are you affected when a professional review is less than favourable? LW: It’s true that we see all different kinds of reviews as publicists, and some authors like to see all reviews for their book while other authors may wish to see none. The most important thing is not to take any one review personally. My feeling is that the author, publisher, editor, sales and marketing teams and publicist are doing everything they can to ensure the book will be a success, and there is really no point in wasting time or energy on a negative review. If a book is good, no one negative review will ever be able to significantly affect its potential. In the interests of being honest, it does really annoy me if I read a review that is badly written or includes incorrect information. I agree. To me it is apparent and impressive when a reviewer has engaged closely with a book—it can’t always be easy—but there are a few occasions when I scratch my head and wonder if we’ve read the same thing! LW: The thing I enjoy most about my job is the opportunity I have to meet interesting and different people all the time. This includes authors, journalists, Writer’s Festival employees and other people who work in publishing. I also really enjoy having the chance to read lots of wonderful books that I may not have been able to read if I didn’t work in publishing. I think most if not all publicists are faced with curly challenges at some (or many) points, but these challenges also give us an opportunity to develop new skills and to continue to get better at our jobs, so it’s not all bad. What are the key qualities of an effective publicist? LW: To be a good publicist you need to be organised, efficient and a strong communicator. These days most journalists have a very short amount of time to listen to or read a pitch for a new book, and you need to know how to make the most of that time. What are the key qualities of an effective author when it comes to publicising their new book? LW: From my point of view, the most effective authors treat their publicists in much the same way as they treat their publishers. They are hardworking, make sure they are available for interviews they have committed to or submit a piece of writing at the agreed time, are courteous and are mindful that like publishers, publicists are often busy and there is much work that is done behind the scenes to achieve results. If someone reading this post were interested in a career as a publicist, what advice would you offer them? LW: The best advice I received on this was from one of my university tutors, the talented author Peter Doyle. Peter told us that if we wanted to work as journalists or publicists, we should make sure we were doing it for the right reasons. Not for the opportunity to meet celebrities, go to parties, travel and maybe even become famous ourselves, but because we were interested in what other people had to contribute, in how and why the world keeps changing, and to share stories that may have a positive effect on someone’s life. That strikes me as sage and gracious advice, for any career. Let’s finish with this scenario: Lara is on vacation, kicking back. What is she likely to be reading? LW: Anything by Liane Moriarty (I can’t wait for her new book, Truly Madly Guilty, publishing in August), or Elena Ferrante’s ‘Neapolitan’ novels. I read My Brilliant Friend over the Christmas break and I was happy to discover that it lived up to the hype. A huge thank you to the wonderful Lara Wallace, publicist at Pan Macmillan, for making time to contribute to this post.